Kensington Palace may soon be split into two separate offices. With many changes on the horizon for Prince Harry and Duchess Meghan (née Markle) of Sussex as well as Prince William and his growing family with Duchess Catherine of Cambridge (aka Kate Middleton) and the fact William will eventually take on even more responsibility when he inherits his father's title as Prince of Wales, this is a natural time for Harry and Meghan to begin forging their own path. According to a Wednesday report by People, the U.K. paper The Sunday Times first reported Prince Harry and Prince William may split their joint "court" after Meghan gives birth in the spring. Though the palace has not released a statement on the news, insiders believe this is the best time to make such a move. 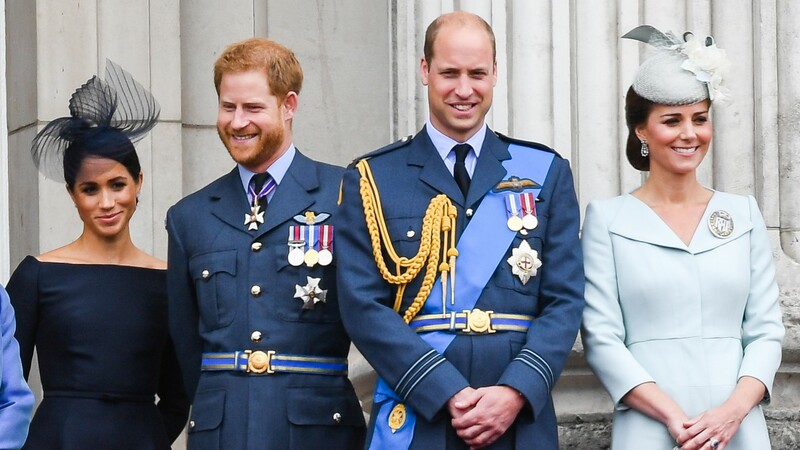 Smith notes that the Royal Fab Four — as Harry, Meghan, William and Kate have colloquially come to be known — will likely maintain the Royal Foundation together. The foursome organize charitable endeavors under the banner, including their groundbreaking mental health campaign, Heads Together. As noted by People, Meghan and Harry proved their effectiveness as a twosome during their recent royal trip to New Zealand. Meghan made an unprecedented three speeches during the trip, including one celebrating 125 years of women's suffrage in the country. It'll be interesting to see where she and Prince Harry go from here — and how life continues to shift for William and Kate as well as their children.